The Airports Authority of India (AAI) has installed a new Rs160m ($2.5m) advanced radar system installed at Kochi International Airport in the Indian state of Kerala. To be inaugurated by the Minister of State for Civil Aviation K C Venugopal, the new radar system will enable air traffic controllers to provide direct and shorter routes to aircraft. The latest Enroute Radar system will bring the complete airspace up to 250 nautical miles from Kochi. The Airport Surveillance Radar allows aircraft landings at every three-minute interval, as well as the quick release of departures in between, which will reduce the delays for flights-landing and taking-off delays, as well as lower fuel consumption and its carbon footprint. The new system will also help address the estimated traffic growth at the airport over the coming 20 years. "The latest Enroute Radar system will bring the complete airspace up to 250 nautical miles from Kochi." 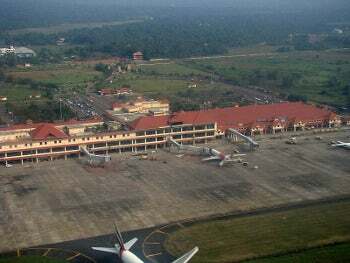 AAI considers the Cochin Air Traffic Control Centre at Kochi Airport as a high priority and has carried out a large-scale upgrade of the air navigation system at the airport. The Instrument Landing System, which allows aircraft landings even in poor visibility of nearly 650m, is already functional at the airport. Other large-scale upgrades such as the latest AIRCON 2100 air traffic control automation system were also introduced, which has improved the functioning of air traffic control by delivering safety features for early detection of any aircraft conflict by controller. Minister Venugopal is also set to commission a monopulse secondary surveillance radar (MSSR) at the airport in Thiruvananthapuram, Kerala on 17 September. Image: The new radar system will help address the estimated traffic growth at Kochi airport over the coming 20 years. Photo: courtesy of SPat.